Born in Singapore in 1971, Ming Wong is currently based in Berlin. Ming studied Chinese Art at the Nanyang Academy of Fine Arts, Singapore, and Fine Art Media at the Slade School of Fine Art, University College London. 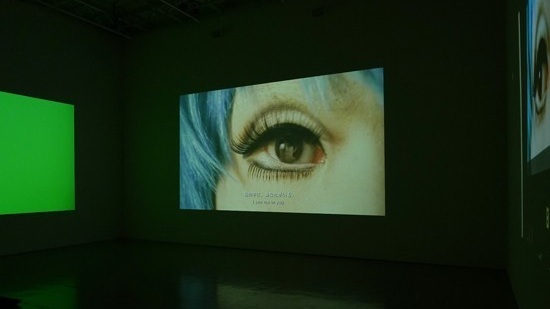 Wong’s videos and installations explore the intersections of language, identity, and performance. He deliberately ‘mis-casts’ himself and others in re-interpretations of iconic films and performances, sometimes playing all the roles himself, often in languages foreign to him. Working through the visual styles and tropes of such iconic film directors as Fassbinder, Wong Kar-wai, Visconti, Pasolini, Douglas Sirk, Ingmar Bergman, Polanski, etc, Wong’s practice considers the means through which subjectivity and geographic location are constructed by motion pictures. He participated in the 53rd Venice Biennale 2009 representing the Singapore Pavilion with his solo presentation ‘Life of Imitation’ which was awarded a Special Mention. Exhibitions in 2013 include Lyon Biennale (France) and solo shows at the Shiseido Gallery in Tokyo (Japan) and University of Oregon (USA). In 2012 he participated in the Liverpool Biennial (UK), and the Toronto International Film Festival (Canada) with his project ‘Making Chinatown’ first shown at the REDCAT in Los Angeles (USA). He has also shown at Performa 11, New York; Museum of Contemporary Art, Tokyo; Hara Museum, Tokyo; House of World Cultures, Berlin; Frye Art Museum, Seattle, Washington; Contemporary Art Gallery, Vancouver; Singapore Biennale 2011; Sydney Biennale 2010; Gwangju Biennale 2010.